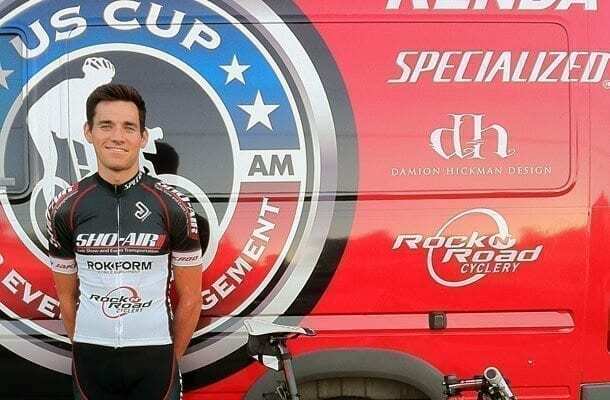 SoCalCycling.com caught up with Anthony Canevari, who is currently racing both road and mountain bikes for Sho-Air/Specialized. SoCalCycling.com: How did you get into cycling and when did you start? Anthony Canevari: I originally got into cycling from freestyle BMX. I did that for about 8 years and was sponsored by FitBikeCo. A friend of mine introduced me to track bikes. I began cycling at the track for a little and wanted to start training on the road to compete at the track. Then I began to enjoy the road also and won my first criterium race, so I continued with it. I started around 3 years ago at the end of the 2009 season. SoCalCycling.com: What’s your favorite race locally and Nationally and why? 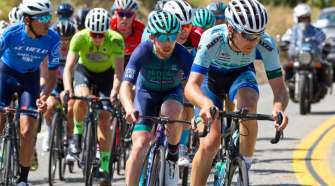 Anthony Canevari: Hmmm, locally I would have to say Redlands Bicycle Classic. It’s a great event, has great competition, and has tough courses. Nationally, I think I would pick the Cascade Cycling Classic. It has great scenery, great people, tough courses, and really shows who does well with tough stage races. SoCalCycling.com: You’re riding for Sho-Air/Specialized on the road and mountain bike, how did that come about? Anthony Canevari: Well, It’s actually a long but interesting story and an amazing opportunity. I actually just wrote about it in my blog at shoair.wordpress.com. SoCalCycling.com: You rode for CashCall in the beginning of the season, how does that differ from your current sponsorship and race schedule? Anthony Canevari: Things are definitely different. The race schedule will change drastically with all the awesome mountain bike races but my team manager and race promoter Ty Kady really keeps things organized and easy going with our bikes, gear, upcoming trip itinerary, etc. Our team owner, Scott Tedro, is like a father to me and makes sure everything is running smooth and really takes care of any of our needs. And having such an awesome graphic designer like John Muller to design our kits, logos, bottles, etc. is great because we always have new and improved gear, of course with the help from our other sponsors like Jakroo Custom Cycling Apparel. SoCalCycling.com: What mountain bike events do you plan on attending for the season and for next year? Anthony Canevari: Right now, I am focusing on building mostly. But I am going to be racing Marathon Nationals in Bend, Oregon in September. Next year I will be focusing on racing as many mountain bike events as possible with my team. My team has an amazing support group and will keep me on track with exactly which races I will be doing and I am very excited to do so. SoCalCycling.com: What type of rider would you consider yourself to be and what type of training do you do to accomplish this riding style? Anthony Canevari: I am a great sprinter, but also a well rounded rider. I have proven that I can be there with the some of the best on some very tough courses. To succeed in doing so, I train a lot. Usually, I train for the event I plan on doing well at, but I do a little bit of everything and love it all whether it be mountains, intervals, sprint workouts, etc. SoCalCycling.com: What are your long term goals for racing? Anthony Canevari: I have my heart set on racing pro tour in Europe. I want to race professionally with the ProTour peloton and would like to make an impact in the Pro XCT and race for a world title. I am honestly just happy to be racing my bike not only for fun but for a living and am humbled to have the opportunity I currently have. 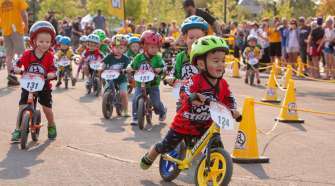 SoCalCycling.com: How will your training change now that you’re racing mountain bike events, as well as road events? Anthony Canevari: It has already been a huge change, but one that I am happy about. Riding/training on the mountain bike is awesome. It really excites me and I am really enjoying it. SoCalCycling.com: What’s your favorite food to eat before race day? Anthony Canevari: There are a few things I enjoy eating before race day. A few local spots I like to go to. Also a few favorite dishes I enjoy at home courtesy of my girlfriend and her family. But mainly I stick with what I’m comfortable with, which is rice and some type of lean protein. 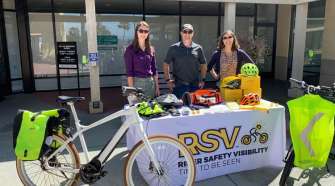 SoCalCycling.com: What would be your advice for new riders coming into the sport? Anthony Canevari: No one and nothing can hold you back except yourself. Never say “never” and never give up. People may doubt you; It will get hard, you will get tired, and you will feel pain, but if you want to succeed you have to overcome any obstacle. The worst thing you could do is look back and think of what you could have become.